Tom Creegan grew up in Dublin learning in one of the best environments possible, the Pipers’ Club headquarters on Thomas Street. He played extensively in Europe and Canada before moving to Seattle where he started the band as “The Suffering Gaels.” He has long been widely regarded as one of the foremost pipers in North America. Concert appearances have included numerous dates with such luminaries as Kevin Burke, James Kelly, and Johnny Cunningham. 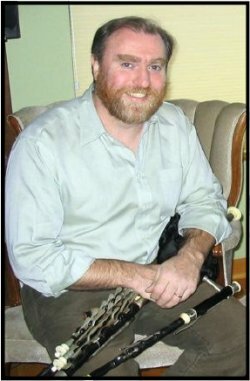 He teaches tin whistle and pipes and has served on the teaching faculty of the Lark in the Morning summer school in California, The Friday Harbor Irish Music Camp, and CeltFest on Vancouver Island. Tom is in big demand for recording, and has appeared on many, including a CD of music from Hawaii!